Turkey’s Kurdish question should be solved in the Turkish Parliament, main opposition CHP presidential candidate Muharrem İnce said on June 11. Speaking at a packed rally in the southeastern city of Diyarbakır ahead of the June 24 elections, İnce vowed to “end the fight between brothers” if elected. “I have not come here to fool you. Turkey has very serious problems,” İnce warned, citing the huge current account deficit and youth unemployment as leading concerns. 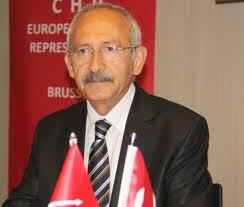 To solve these issues, İnce said he offers three “b’s”—barış (peace), büyüme (economic growth) and bölüşümde adalet (fair distribution of income).